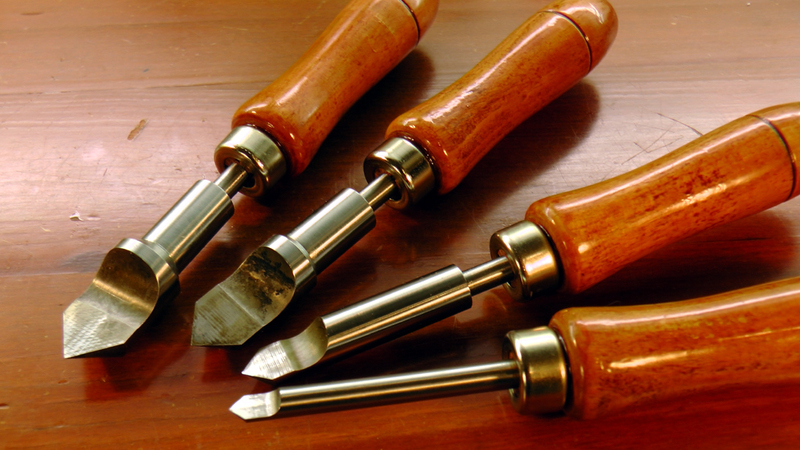 Used primarily for countersinking brass, these tools are always close at hand. 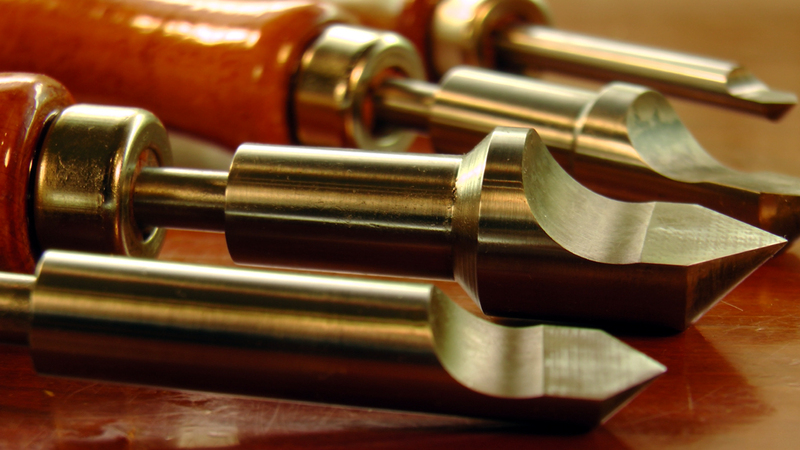 After drilling a hole, or perhaps threading, they will easily take out that little burr, and apply a light countersink. Made from silver steel, construction of the tools started on the lathe, to turn the 60 degree point and the other profile diameters. Then the business end was milled to just short of half of the outside diameter on the mill. It was then hardened, tempered to straw, and finally sharpened on an Arkansas stone. You can see from the bottom photo that I also undercut the flat section while they were on the mill, to permit easy resharpening with a slip stone. The undercut permits the stone to sit nice and flat, without the rear of the curve touching it. 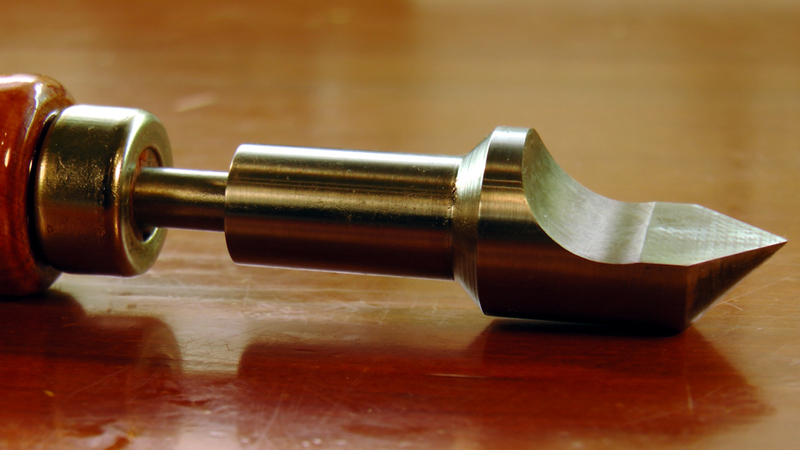 From John Wilding's book "Tool For The Clockmaker And Repairer" pg 141, another must have brass working tool.